Prithvi Shaw's hundred against West Indies showed that, in cricket, age is indeed just a number. It showed that no matter how young a player is, he can show maturity, compete at the highest level, and perform against the top players in the world. Further, Prithvi Shaw is not the only teenager showcasing this; in fact, there are several others, around the world, showing that at a very young age, they can dominate at the highest level. This slideshow looks at the four best 'wonderkids' in world cricket at the moment. These are players that are still in their teens (i.e. below the age of 20), but are performing exceptionally well on the global stage. 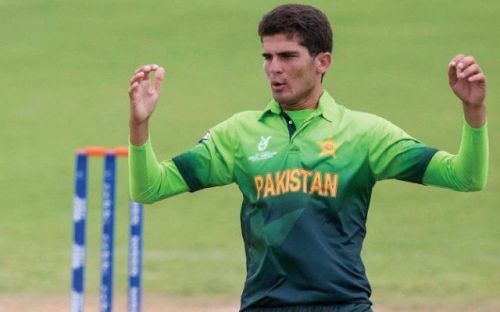 The latest addition to Pakistan's never-ending production line of impressive fast bowlers, Shaheen Afridi, in a short span of time, has shown himself to be one of the premier young stars in the world. He initially made his name after picking up 8/39 in an innings on first class debut, and since then, his stock has only risen. In the PSL, despite being lacklustre, he produced one of the finest T20 spells of all time, taking 5/4 in an innings, and since then, he has gone on to make his international debut. Despite having played only a handful of games at the international level, he has impressed one and all with his pace, hostility, and aggression, particularly in the recently concluded Asia Cup. Race to India's no.4| How are the candidates performing in IPL 2019?